Most of us spend Monday through Friday rushing out of the door and grabbing a coffee for “breakfast” each morning. 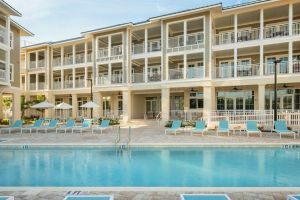 Enter Dine & Daycation; your weekend retreat for the best brunch and live entertainment on Anna Maria Island. 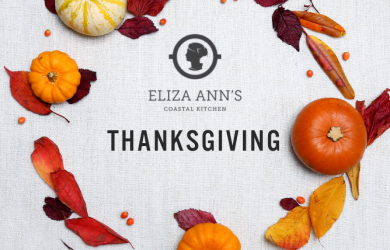 Every Saturday & Sunday, treat yourself to a mouthwatering brunch at Eliza Ann’s Coastal Kitchen followed by an afternoon of much needed relaxation at our resort pool with live music and Florida sunshine. We are a firm believer that brunch should not be limited to one day a week. Enjoy our refreshed brunch menu every Saturday and Sunday from 8am to 3pm. In the mood for something savory? 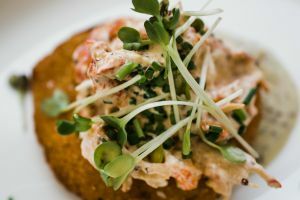 Indulge in Eliza Ann’s Fried Green Tomatoes, Biscuits and Gravy or Shrimp & Grits. Looking for something that speaks to the summer season? Give our Florida Peach Gazpacho, Pickled Watermelon Salad or AMI Lox & Bagel a try. What’s brunch without booze? Sip on mimosas, Blood Mary’s and craft beer. Check out the full brunch and drink menu here. Reservations are recommended, book today. Brunch-goers are now able to enjoy Waterline’s pool amenities and live music every weekend from 12pm – 4pm with purchase of an entrée. Local artists including Michael Whitty and Mike Sales will serenade guests poolside. 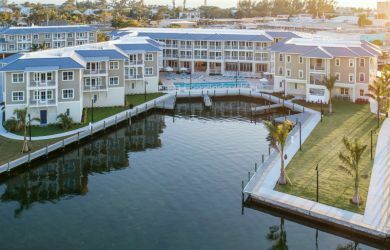 Sit back and watch the boats pass through our marina, take a dip in the resort-style pool or play a game of giant checkers and jenga. Beverages are available by poolside service (yes please). 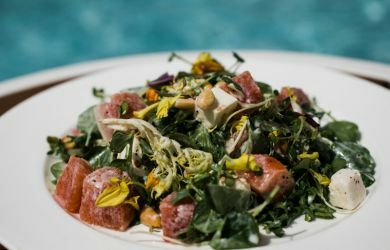 Brunch isn’t reduced to a meal at Eliza Ann’s; enjoy the paradise that is your own backyard and make a daycation out of it! 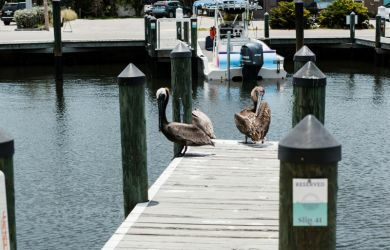 To stay up to date on the latest happenings at Waterline, subscribe to our newsletter or view our events calendar here.